I love mixing up the idea of what a recipe should be, such as these Inside Out Cinnamon Rolls. 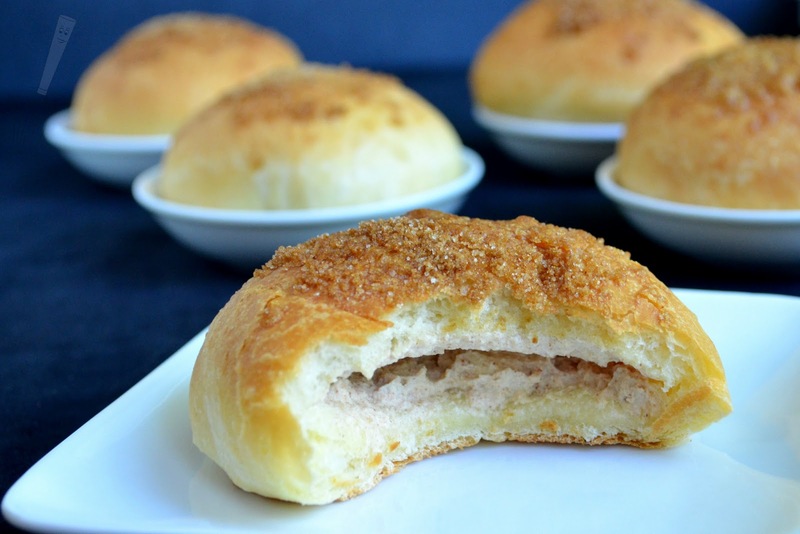 They're have a cinnamon cream cheese filling and are topped with a brown sugar mixture. Hot out of the oven they're soft on the inside and crunchy on the top! I'm pretty sure I love these and they will stay in my breakfast bread rotation. 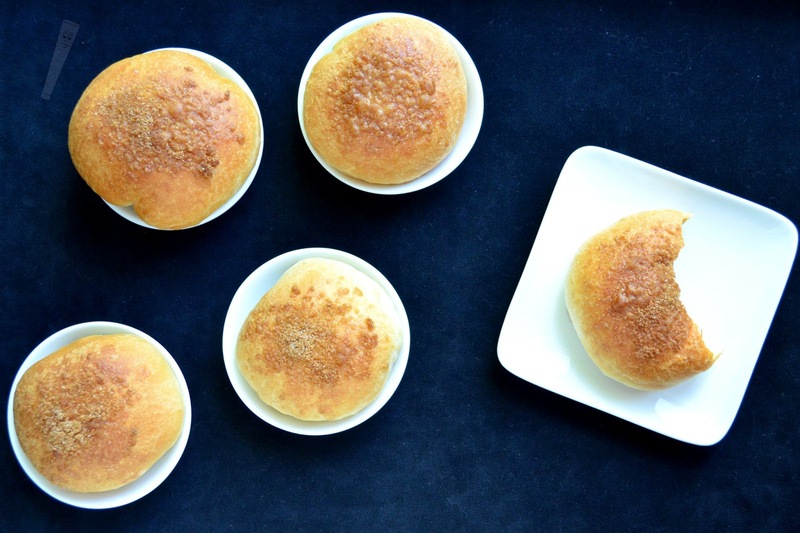 The recipe only makes 8 so you won't be inundated with an entire pan of rolls so that you feel like you need to eat them all. Of course if you want to eat them all, then by all means, go for it :). I know I've had some sporadic posts lately on here and I hope everyone is sticking with me because I'm planning some other fun desserts and breads for future posts. I came up with this idea a few weeks ago and thought it would be fun to try. The combination of flavors really to remind me of a cinnamon roll but the result isn't as sticky. There are a lot of fun ways to mix up this recipe too to match your tastes. You could add nuts to the filling, such as pecans or walnuts. Orange zest would also make a lovely addition. If you're feeling really crazy, you could leave the cinnamon out of the filling and add some chocolate chips! (I may have to try that soon). I'm really happy with how soft the rolls came out and how easy it was to work with while shaping them. It didn't require much flour on the cutting board and wasn't sticky so these went pretty quick and without much frustration. 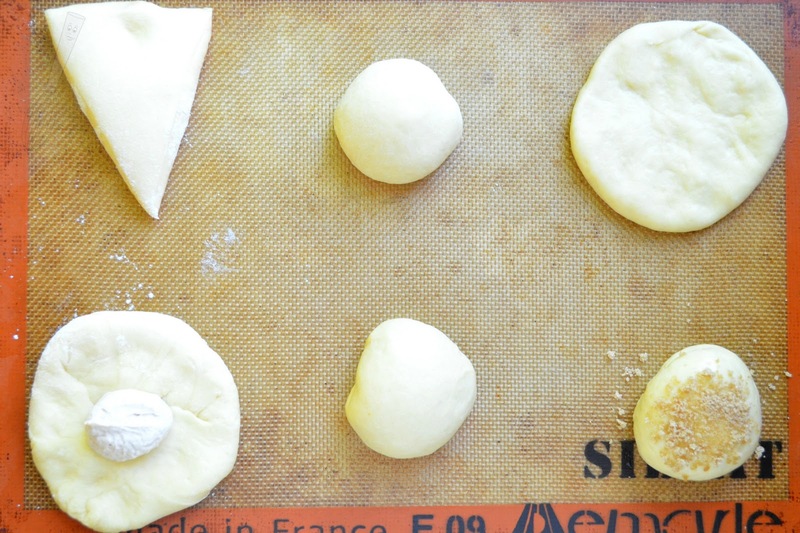 You also don't need to roll them with a rolling pin, you can just shape them with your hands and press them into the circles. Be careful when you're pinching the dough around the filling, you don't want it to squeeze out anywhere. I made these separately on a cookie sheet but if you really wanted to you could probably bake them in an 8x8 pan (cutting the circle into 9 wedges instead of 8), then they would have touching sides like most cinnamon rolls do. I hope you love them as much as I do! Happy Baking! 1. In the bowl of a mixer stir together the yeast and milk, let sit for 3-5 minutes. Stir in 1 cup of flour, sugar, salt, butter, and the egg until blended. Scrape the bowl, add in the remaining flour, and mix with the dough hook 4-5 minutes or until a smooth dough is formed (It may be necessary to add an additional 2-4 tablespoons of flour). 2. 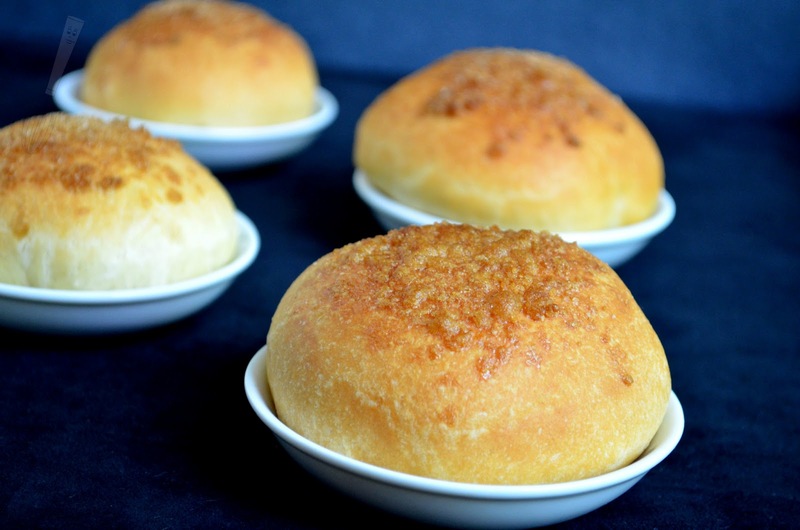 Place the dough in a lightly greased bowl in a warm place, covered with a kitchen towel or plastic wrap. Let rise for 45 minutes or until almost doubled in size. 3. While the dough is rising prepare the filling and topping. Stir together the cream cheese, cinnamon, sugar, and vanilla until blended and fluffy (I used an immersion blender with a whisk attachment). In another small bowl, stir together the granulated sugar, light brown sugar, and cinnamon. 4. Pat the dough into a circle about 1” thick, cut into 8 wedges. Shape each wedge into a ball, then pat the ball to a disc about 4”-4 ½” wide. Dollop about 1 tablespoon of filling in the middle and fold up the sides, pinching them together to form a ball again. Set on a cookie sheet, seam side down. Repeat with the remaining dough wedges. 5. 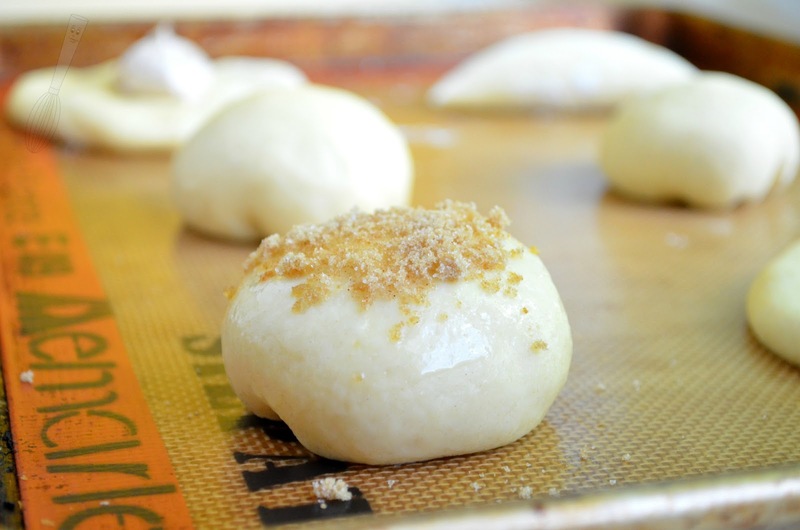 Brush the balls of dough with the melted butter and sprinkle with the brown sugar mixture, pressing it lightly into the top of the dough. Let rise for about 30 minutes covered with a kitchen towel. 6. Preheat oven to 350F. Bake for 18-20 minutes or until golden brown. Cool for several minutes before serving.